My first and hopefully only slip. We had company over, I cooked and felt it would be rude to not eat with them. I kept it down to Amish chicken and green veggies. I’m back on the program and determined to finish strong. I’m starting my regular workouts this week too. Q: What is the alternative to not becoming a vegetarian? I still like chicken, fish, and some seafoodâ€™s. Can I still heal eating those and significantly cutting back on dairy (maybe once a week)? SORRY BUT IT DON'T WORK LIKE THAT! YOU CAN'T EAT UNHEALTHY FOODS AND EXPECT TO GET HEALTHY. IT WOULD BE NICE, BUT IT JUST DOESN'T WORK LIKE THAT! Q: I saw your website and I'm very interested in buying the pills from your website, but I'd like to know if it's similar to the Martha's Vineyard diet. I tried to do it, but I felt very weak and hungry. I didn't do it for more than 1 day. I would like to know if in your diet, I would be allowed to eat anything or if is just liquid also. If you could, please send me a basic manual for a regular day besides the pills. I'm really interested in buying it, but I don't want to spend this money and not be able to finish the diet. I need lots of energy for my regular days. I'm a very active person. I can't feel sick, weak or dizzy during the day! Please help me!!! I hope to hear from you guys soon. No, our Full Body Detox is not similar to the Martha's Vineyard diet as you can eat RAW FOODS during our detox. Our kit and regimen comes with everything you need including the diet plan and regimen. It's very complete! Very unique! THE BEST! Q: Last week was my first week on the detox program. I have a question about the charcoal - what is it used for? I know that it is part of the detox program, but what organ does it help to cleanse? I have stopped all meat and dairy products with no problem- but I am still having a difficult time with the sweet cravings. Any suggestions? Activated Charcoal aids the detoxification process by helping eliminate toxins and heavy metals. For sweet cravings, you can eat as much fresh fruit as you'd like while on the cleanse. After your cleanse is finished, you may wish to consume Sugar Control Formula to address those cravings. Q: After I finish the Full Body Cleanse, and the Anti Viral Cleanse for HSV, will I have to follow a RAW diet forever? I want to go back to my normal (healthy but cooked) food diet, which will still include a substantial amount of raw foods. Of course you don't have to eat RAW forever, your diet plan sounds smart and wise! Q: Hi I completed the FULL BODY DETOXlast week. I could have done better because I cheated a couple of times but I did lose 10 lbs and the type of cystitis I have (eosinophillic Cyctitis - which is caused by eosinophils in my bladder that have caused an ulcer type lesion in my bladder that will not heal) felt about 50% better. However, a couple of days after completing the full body detox all my symptoms came back, blood in the urine (from the lesion), pain (primarily for hours after I urinate, by the time the pain subdues its time to urinate again so it becomes a cycle of pain), along with infection type sypmtoms (cloudy urine, inability to hold). My primary question is, how long to do I have to wait to do the detox again? What else do you recommend that my help heal this issue that I have had for over 10 years. I was on antibiotics indefinately because they seemed to ward off bladder infection. Anything you can suggest would help. I thought if was on the detox program for a longer period of time I may heal. I would suggest performing the FULL BODY DETOX again RIGHT NOW! However, when you perform it this time around, please drink one or all of the following teas: Juniper Berry, Uva Ursi, and Cornsilk. You have an issue with your bladder. Drink bitter/unsweetened cranberry juice too during the cleanse. Drink vegetable juice (with celery, parsley, and asparagus). I am also going to recommend you take KHEMETIAN GOLD in every glass of water during the detox. Q: Yeah I was wondering when you take the Full Body Detox and then after that the Anti-Viral Kit how will you know when you blood is fully purified because I hear you run and get tested right after you take it and if you wait a week or two it might come back positive because you go back to your old lifestyle in essence you are not providing a cure within a three week period your just starting a process and a lot of people might not can commit to living that life style indefinitely so tell what?s the deal. You will know your blood is pure and that you no longer have a so-called virus when your doctor gives your a print out (readout)! If you wait and go back to your old diet, it really doesn't mean the virus will come back, it only means the test may come back positive because of what you put into your body. It's like an HIV test. If you drink milk or eat meat before you get tested, your result will automatically read POSITIVE because meat and dairy pollute the blood stream and your killer cells increase to fight off the foreign substances (meat and dairy). 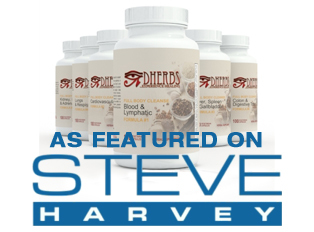 Q: Dherbs.com, I wanted to update you on my experience with the WEIGHT RELEASE CLEANSE AND REGIMEN; I am on the third week of the program (almost finished) and I have lost 25 pounds thus far and still releasing weight. Although, I know the program calls for all raw foods; I have had a few days where I did not follow the plan (i.e. I had some cooked vegetable dishes and some Quinoa). Although I know this is a no-no; I wanted you to know that in spite of my disobedience; I have still released waste. I am now ready to know what's next. Would you recommend the full body detox? I am still overweight for my frame...and I am more interested in lifestyle changes than temporary fixes. I have been vegetarian for the last year. Thanks for your wonderful products. Great testimony and kudos to you! We would recommend that you continue to detox (FULL BODY DETOX) to release that unnecessary weight (waste). For lifestyle change, Dherbs is the place to be (articles, e-books, videos, etc.). Q: I am currently on my second week of the Full Body Detox. My diet has been according to the food combination chart. I must admit, I cheated twice, not with red meat or pork, with chicken and fish. Anyway, lately my urine has a real funny smell. What is your opinion about this? Smelly urine is a part of the cleansing process. Nothing to be alarmed about! Q: Can you give me more examples of a raw diet ? I am starting the Full Body Cleanse and right now I'm thinking only of salads fruits and veggies. But I don't know if these above examples will keep me full and satisfied for three weeks. I just invested in a juicer and a new blender. Q: Dherbs, I am experiencing some degree of headaches on my forehead on the left side. I have had about four surgeries for this thinking its related to my sinus, but no relief. I recently started to get some headaches on the back of my head, and neck pains. I took an MRI, and I am not sure of the result the doctor said it seem to be some abnormality on the back of my head may be from birth, he refered me to a nurogolist. Give me some advice on what I can do with herbs, I have already taken your Total Male Cleanse, your Weight Release Cleanse, the Full Body Detox, and just about to finish your Respiratory Cleanse, about 8 more days to go after I have your 10 Day Supreme Cleanse to start next week give me some advice on what course to take alternatively. How long have you been experiencing the headaches? You've taken some powerful cleanses thus far. Regardless of what cleanse, start drinking Headache Tea daily. I make it, and add maple syrup, lemon juice, and chill it. This helps for my headaches which are sporadic.